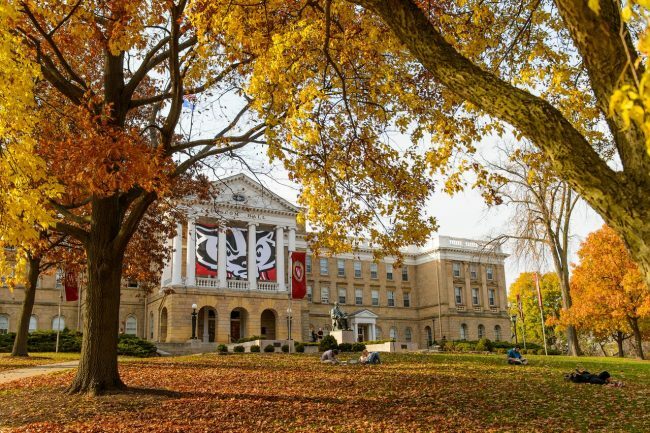 The University of Wisconsin–Madison is a public, land-grant institution that offers a complete spectrum of studies through 12 schools and colleges. With more than 43,000 students from every U.S. state and more than 130 countries, UW–Madison is the flagship campus of the Wisconsin state university system. UW–Madison is a formidable research engine, for over 25 years ranking in the top 5 U.S. universities as measured by dollars spent on research. Faculty, staff, and students are motivated by a tradition known as the Wisconsin Idea, the principle that the boundaries of the university are the boundaries of the state and beyond.